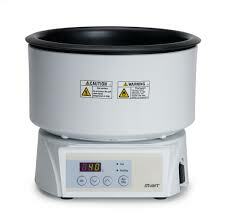 These precise digital baths have been specifically designed to be used with the Stuart rotary evaporators to give maximum efficiency for the smallest footprint. 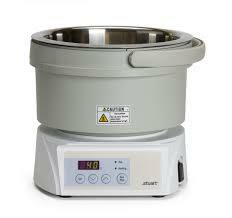 The clear LED digital display shows the actual bath temperature or the set temperature. The RE400DB is suitable for lower temperature applications whereby the RE400OB is can be used with oil for higher temperature evaporations. Both models feature outer case's which are made from chemically resistant polypropylene.